What will tomorrow’s outlets look like? This is the question that drives Unibail-Rodamco, Europe’s leading listed commercial property company specialised in shopping centre, at its startup accelerator UR Link. Contrary to what could be expected, brick and mortar stores are not to collapse versus e-commerce, and as a matter of fact, revolution has started. Several trends and challenges are emerging and give us a taste of tomorrow’s shopping centres and cities. Welcome to Retail 2.0! There is no doubt that digital transformation, cultural shifts and environmental considerations are reshaping consumer’s expectations and behaviours. Technology and innovation offer new opportunities to reshape retail by enhancing customer’s experience and laying the foundations of new structural changes. Here are some of the key challenges faced by retailers, based on the trends around the corner. Retailers must leverage all the tools at their disposal to bring clients into their shops. Creating new multi-sensory experiences you cannot live online is key to attract customers. By contrast with online shopping, you can take shopping in real life to the next level, by creating genuine experiences instead of a mere transactional service. Seize, a new concept-store established in the Oberkampf district in Paris and dedicated to DIY, hosts a corner shop, a co-working space and regular workshops around sewing and other DIY activities. Bringing knowledge to customers by sharing expertise is a great way to sell more than products and build genuine experiences. As for the future of shopping centres, Unibail-Rodamco upgraded its properties around customer experiences. At Aéroville, in Roissy Charles-de-Gaulle Airport, everything revolves around body senses. With the “Dining Experience”, customers can taste food from all over the world. Since 2014, the group promotes its “Unexpected Shopping” experiences in partnership with brands such as Lego or Primark. In November 2016, Aéroville offered customers the “Beauty Experience” in partnership with Sephora. And last month, guests were invited to share a massive Galette des Rois. These are the kind of multi-sensory experiences delighting the senses which reshape UR’s guests shopping experience. Spoon Robot, the first non-humanoid robot with personality and emotions, accelerated at UR link, is a good example of what could be found in tomorrow’s shopping centres: “We don’t want the robot to deliver corporate content only, for commercial or event promotion purposes. In the contrary, with Spoon, we want the robot to be an active and contextualised messenger, just as a local social network would look like, but in a more lively way” Jérôme Monceaux, his creator, explains. The Spoon Robot, which you can currently meet in one of Unibail-Rodamco’s shopping centres in Rennes, creates unique experiences you cannot live online, bridging local communities and brands. The rise of digitally-enhanced stores serves one purpose: reducing stress and friction points during the shopping experience. If you do not want your customers to queue at fitting rooms, one solution can be the Size-Machine, a cutting-edge body scanner which determines buyers’ exact body measurements in no more than 30 seconds: Unibail-Rodamco’s guests could trial the device during the Winter Sales, putting an end to endless queues in shopping centres. Equally, UR Link startup Transaction Connect, currently accelerated during the 2nd season of the programme, is revolutionising the field of new loyalty cards, letting customers use their debit card instead of a branded loyalty card. Actually, checkout-less stores are already around the corner. Amazon recently introduced its advanced cashless store experience with Amazon Go, combining machine learning, artificial intelligence, image recognition, integrated payment and powerful location based services to create the “just walk out technology”: when you simply walk out with your purchases, your payment is validated and you receive a receipt on your smartphone. This might be the future of barrier-free and streamlined shopping experiences. When you run an ecommerce activity, it is easy to study customers’ journey or analyse your conversion rate. A wide range of different dedicated web tools such as Google Analytics, help you understand what worked and what hasn’t so to adapt your offer to your customer’s needs. You can also use retargeting technologies to optimise your advertising reach. But, how to adapt those techniques to physical stores? Kairos Fire, a startup accelerated by UR Link during its second season, uses beacons and machine learning and powerful location technology to analyse customer journeys in shopping centres and deliver information on traffic. Retailers gain insights on who comes regularly, from where, and who are those who used to come and don’t visit their stores anymore. This helps brands deliver customised messages to the best customer profile, at the best moment. Data is crucial to help retailers communicate better with clients, and to help sales assistants provide guidance and recommend the right products to the right customers. According to a eMarketer survey, half (46%) of shoppers said they will buy more from a retailer that tailors their shopping experience to their needs. 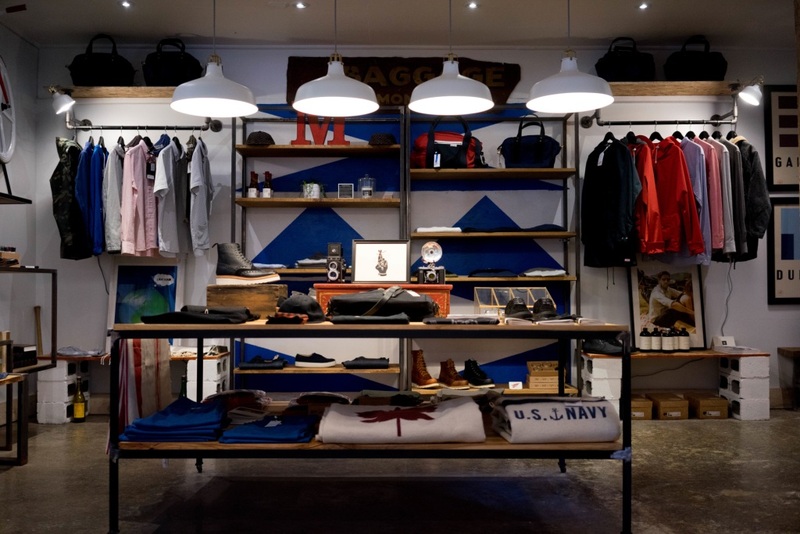 The future of retail will definitely modify the appearance of our stores and force retailers to reconsider how they use their space to showcase their products. One major trend is the rise of temporary retail spaces such as pop-up stores. They generate a “one-shot deal” effect which helps creating buzz and encourages quicker and more spontaneous purchases. My Pop Corner, one of UR Link’s first season startups, connects outlet spaces with online brands wanting to showcase their products in physical shops for a limited period of time. The start-up opened a pop up store in one of Unibail-Rodamco’s shopping centers last November, presenting 40 trendy online brands. Rethinking interior design and merchandising of products is also critical to help customers choose and prevent them from being overwhelmed by choice. Brands now tend to showcase less products in stores, valuing some of them and keeping other products away from the stores. Equally, concept-stores are rising because they offer products meticulously chosen and showcased by the retailer. Thus, flexibility and modularity will become a true challenge for owners as well as occupiers, just as Ludovic Flandin, Managing Director CSR and UR Lab at Unibail-Rodamco, puts it: he predicts new forms of lease will emerge allowing retailers’ space needs to shrink or grow over the term of the lease. We are now living in a world where you can shop everywhere, everytime. Looking further ahead, retailers must expect that the shopping experience will reach new borders: after e-commerce and m-commerce, the Internet of Things (IoT) has already started revolutionising shopping, along with RFID and QR codes. Samsung’s Family Hub refrigerator is delivered with a touchscreen which enables clients to buy groceries directly from their kitchen. Soon, people might be able to buy pretty much anything from pretty much everywhere thanks to connected devices: from homes, hotels, restaurants, or streets. The challenge will be to unify brand experiences and multiply touchpoints with consumers, creating consistent approaches in-store, online and on connected devices. In this context, what would tomorrow’s shops and shopping centers look like? The only thing we know for sure is that retailer must leverage the assets of the physical world to meet customers’ expectations – and surprise them. Shoppers now expect to be able to transition from in-store to online shopping seamlessly. Retailers must insure to integrate omnicanal services and give consumers a good reason to come back. Retail is an ever-changing field, increasingly cross-canal. Studying customer journey is critical to offer relevant experiences rather than just products. Our digital world – Internet, mobile shopping and IoT – is no longer a competitor, but more an incentive to rethink the philosophy of the shopping experience in physical outlets. Unibail-Rodamco’s open innovation strategy, with the UR Lab and the UR Link startup accelerator, makes the group an active agent of innovation in building tomorrow’s shopping centres.